I remember one patient who was referred to me for neonatal care. It was about 4 years ago. A mother had to deliver prematurely by cesarean section because of premature rupture of membrane and uncontrolled uterine contractions.. Baby was 28 weeks gestational age. There was no more room for control of labor, and preparing the baby’s lungs for eventual delivery; the cesarean section had to be done outright. Both parents were employed at that time, so I thought there was no problem about financial resources. Again, as for all babies being born prematurely, he needed to be administered surfactant. It was night time, banks were closed so there’s no way the father can tender cash at that time. I told him to go to another hospital, secure surfactant with my name as guarantor and sign a waiver for them to pay for the drug in 24 hours. The medicine was released to him and thus I was able to administer it immediately. 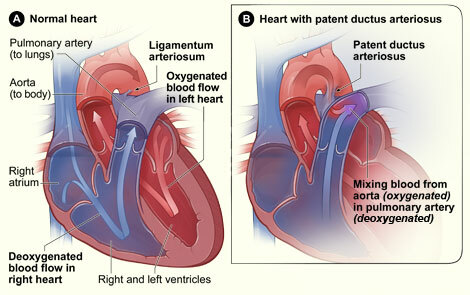 Baby was already being weaned from the respirator, when a new problem arose, a patent ductus arteriosus. This posed a threat as it increased the volume of blood that goes to the lungs for oxygenation and predisposing to a chronic problem: bronchopulmonary dysplasia. Oral medication given via tube to treat the problem. Then another problem set in: persistent pulmonary hypertension and renal insufficiency bordering renal failure, plus signs of systemic infection showing. I did some double volume blood exchange transfusion here besides giving respective medicines. Baby’s persistent pulmonary hypertension responded to sildenafil. After the exchange transfusion, baby started urinating. Then the murmur disappeared. However, it took a some time to wean the baby off from the respirator because of one problem: baby developed bronchopulmonary dysplasia. I had to give cocktail of medications. Finally baby was weaned off from the respirator and was extubated but still dependent on oxygen support. There were even times when after extubation and when his BPD would exacerbate, it would require some hourly aerosolization to open up his distal airways. When baby was almost two months, he was then discharged from the hospital, free from oxygen support, feeding well, and gaining weight daily. Due to big hospital bill, they asked if it is okay for them to sign a promisory note for their payment of my professional fee. Should I say no? I never proposed any condition at all. I just called the hospital to give my approval. They also partially paid their hospital bill. One week from discharge, they followed up at the clinic. Few days after that, the hospital declared bankruptcy and closed. Then, my fear came true. They disappeared and never came back. They never at least had the courtesy to tell me that they can’t pay my professional fee. Nada! Boom! Ba-bye! I had their number. Sometimes I ask my secretary to remind them, but then they just say they will come to no avail. Then I recall how was I attending to that baby before, I had no car then. I would wait for a cab to visit the baby. Then during early mornings, I had to walk for about 10-15 minutes going to the main road to hail a cab to go back home. And then this is what I deserve. The perks of a neonatologist. Other colleagues surely do have their own stories and could be worse than this. i hope my doctor will allow us for payment terms like what you did, total pf for the doctors is 100k also have problems with my baby`s hospital bills(400k), my baby has been confined for a month now bec. she was born prematurely (32wks), she`s okay now but were still not able to pay her bills. 😦 , I`ve asked for payment terms, since i can only pay 250k for now, i know we will be able to pay her total bills after 6-8 months. the hospital does not allow us to leave without paying the full amt, i cant even sleep for days now because of my problem. im sorry to hear your story. but it will really depend on the institution… 😦 maybe try to inform hospital that you are getting a lawyer to draft the contract of your plan?